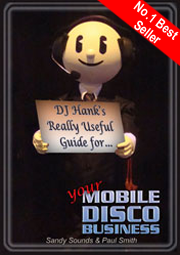 Mobile DJ Trade Tips - Issue 74 - Are You a Preferred Supplier? Probably a more fitting title to this newsletter should be, 'How to Increase Your DJ Bookings', as we will not only look at becoming a preferred supplier for venues, but also gaining regular bookings. Having a number of venues recommending your services to their clients is a good route to making your diary look healthy. If you shine out amongst other DJs, you could even be offered a residency. Many clients who organise a party have had little or no experience in this field. They often don't know where to start when it comes to booking the entertainment. Naturally, after selecting the venue, they turn to them for advice. If a hotel doesn't have a regular DJ, they will often have a list of preferred suppliers that they offer to the client. Nine times out of ten, they are placed in order of preference from the venue's point of view. Venues tend to include DJs on their list who have worked there before. After a performance at a new venue, leave your business card with them. If they liked you and what you did, you are on your way to being recommended. But is a full dancefloor enough to impress the staff? Being personable and considerate are probably the two most important attributes. On arriving at the venue, seeking out the function manager and introducing yourself with a warm smile and handshake could be the one single act that sets you apart from other DJs immediately! Be jovial, polite and accommodating to everyone, including cleaning and kitchen staff; you never know who is watching you. Be helpful. Just before you set up, rather than waiting for the staff to clear your area, help by moving a few chairs etc. If there is to be a buffet, approach the function manager to discuss the arrangements. Offer to make the announcement when it's ready and don't keep the guests on the floor when the staff are waiting to serve the food especially if it's a hot buffet. Be memorable for the right reasons not the wrong ones! Avoid making demands on the staff. Instead, approach things as a request such as, "Sorry to bother you, but could I...." . Acknowledging that they are busy and have a job to do too will create a better rapport. Whilst playing past the allotted time might please your client, it is one of the biggest causes of complaints from venues. 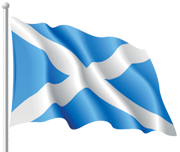 There are two problems; you may be playing past their music licence times and the staff have probably been on duty all day and evening and need to set up for the following day before going home. Some venues have a constant problem with neighbours complaining about noise. Going over time could cause them to receive further complaints and problems with their licence. It's worth bearing in mind that you often work for a client once or twice, but a venue could provide you with hundreds of bookings. You could make an appointment with the function manager with a view to offering your services. The best way to approach this is to send a well written letter with any promotional material, then follow it up with a phone call to secure a meeting. This would work particularly well with new venues or those with a brand new management although the previous example is by far the most effective in established places. AMPdj members can call the office for help in devising a powerful letter. Filling up your diary from Monday to Thursday with smaller local gigs can be very worthwhile. The most popular midweek activities are quizzes, karaoke and open mic sessions. One way to get a foot in the door is to do a little homework and seek out venues that are dead on the nights you want to gain work. In the first instance, try to engage the landlord in casual conversation (making sure he is not busy at the time of course). Suggest activities that you could provide to increase foot fall on an otherwise very quiet night; that should get his attention! Offer to provide the first night free if he is willing to book you for a 5 week trial. If you have your own following to take along, it will help convince the landlord to give it a try. With quiz nights, there are various options for pricing. Instead of taking a fee, you could agree with the landlord to take the quiz entrance charge. If charging £3, £4 or £5 a person, you have the potential to make between £150 and £250 (or even more depending on the capacity of the pub). The landlord gains by the increased takings at the bar and by having entertainment for free. With any method for increasing bookings, it is about being proactive and making it happen. Remember the equation: Effort in = Results out. Thanks to everyone who entered our Spring Competition to win a new lighting effect from Prolight Concepts. We had over 1,000 correct entries! Our thanks to Prolight Concepts for their generosity. "A window of opportunity won't open itself."